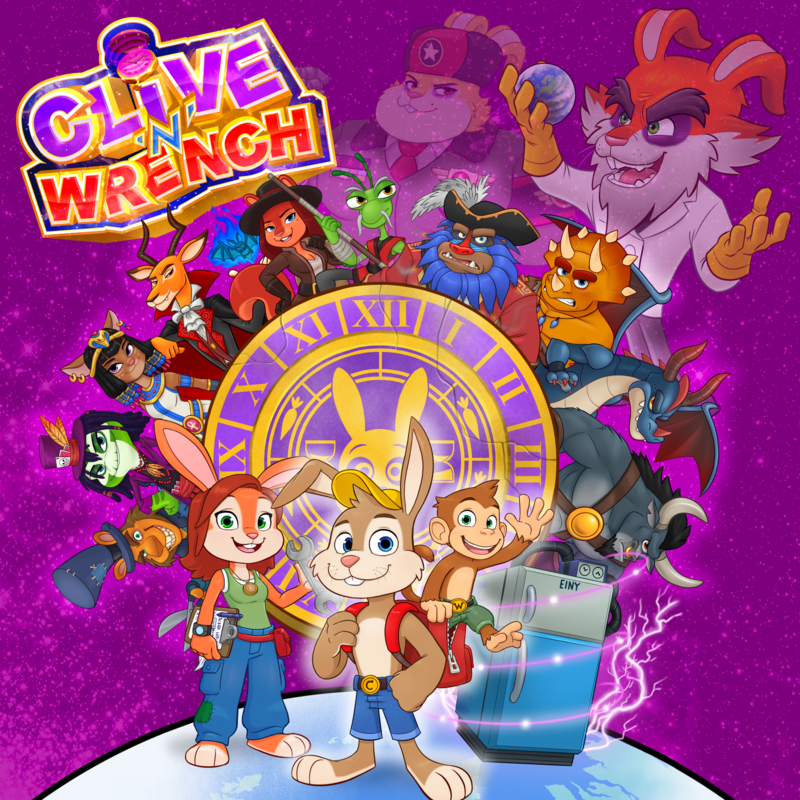 DinosaurBytes allows for the contents of Clive 'N' Wrench to be published through video broadcasting services for any commercial or non-commercial purposes. Monetization of videos created containing assets from Clive 'N' Wrench is legally & explicitly allowed by DinosaurBytes. This permission can be found in writing at https://www.indiedb.com/games/clive-and-the-stones-of-the-ancient-bunnies/presskit. I am an indie game developer, currently working on a 3D action platformer called Clive 'N' Wrench. More information on DinosaurBytes, our logo & relevant media are available here.